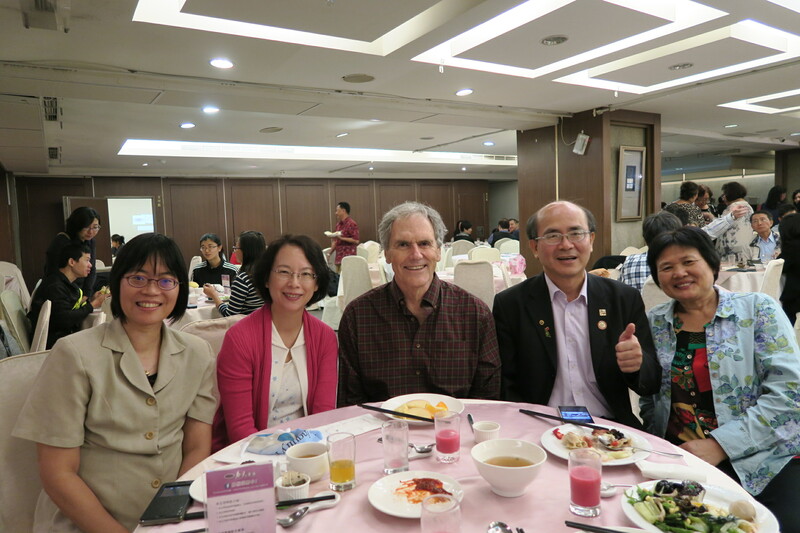 There were many special aspects for me of a recent trip to Taiwan, including the countryside, Taipei, interesting conferences on museums in everyday life and technology in education, university visits, wonderful food, and museums. 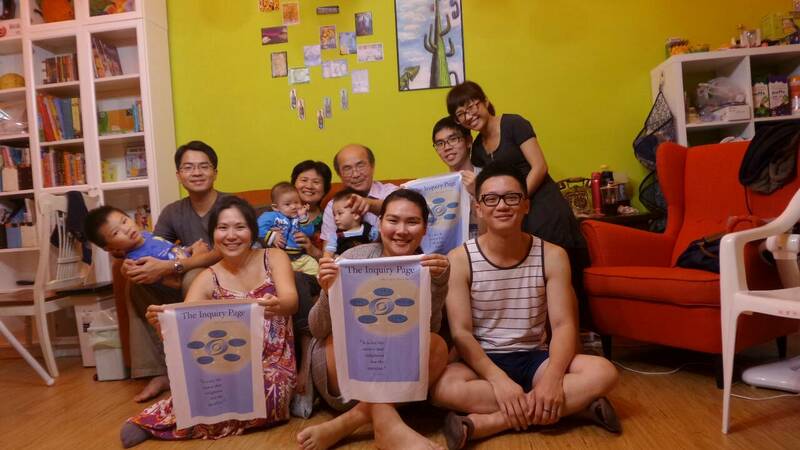 Several of my students from Taiwan now live in the US, Canada, and other places, but many have returned to Taiwan to work and live. Reconnecting with them was a special treat, especially since some had to travel a long distance to meet. 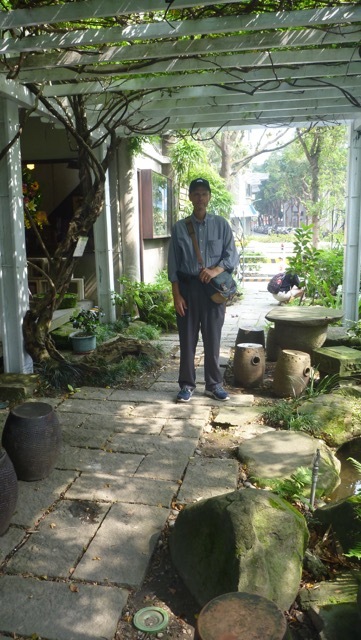 Alex and Shihkuan introduced Susan and me to Taipei, including the Wistaria (or Wisteria) Tea House. This is a Japanese-style wooden house built in the 1920s, which is named for three wisteria vines planted in the front courtyard. The house served as a residence for the Governor-General of Taiwan under Japanese rule prior to 1945. It became a teahouse and was known as a venue for political dissidents during the 1980s. It continues as a meeting place for literati, artists, and academics and was used for the filming of Eat Drink Man Woman. 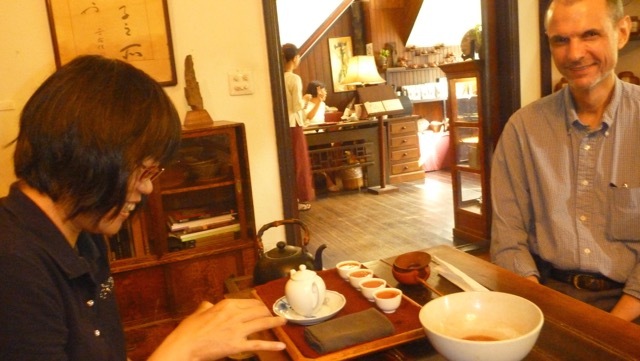 We had a wonderful lunch there and enjoyed a Gongfu cha (“making tea with effort”) ceremony. I proved to be the clumsiest at pouring tea properly. 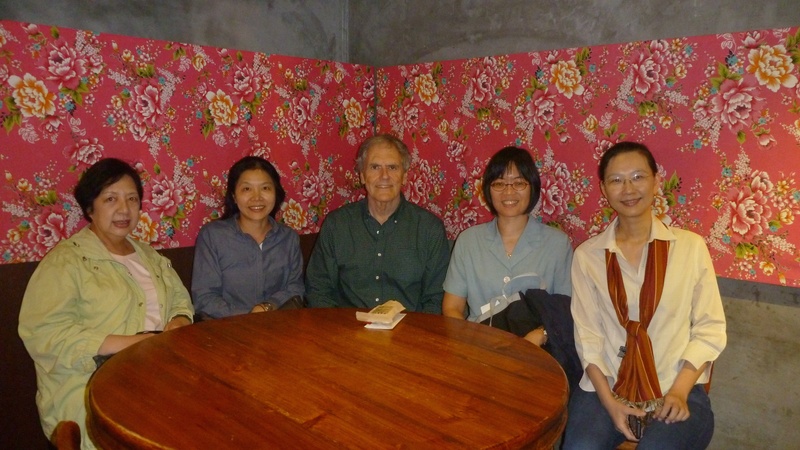 In the evenings, I was fortunate to have dinners in excellent Taiwanese restaurants with many former doctoral students. This entry was posted in Cape Cod and tagged dinner, students, Taipei, Taiwan, tea ceremony, teaching. Bookmark the permalink.